Running shoes are definitely the most important item when you are going for a jog or a run. They are necessary equipment not only for running but also for walking and working out in a gym. Big brands, such as Asics, Nike, and Adidas, all have released their own models with unique functions making it difficult to choose. We will be discussing what you need to know in order to choose the right pair. Hope you can find running shoes that perfectly fit your feet, so you can enjoy a more effective and comfortable run! First, we will discuss the pointers for choosing running shoes. Choosing running shoes is a bit different from choosing your everyday shoes. When choosing your everyday shoes, you pay attention to the design and fit. However, with running shoes, you need to choose the size that’s slightly bigger with just enough allowance to comfortable fit a finger at the back of the shoes. Also, having 1cm of extra allows space for your toes alleviates any burden on your toes, allowing you to run stress-free. Shoes with high cushions are perfect for beginner runners, and who do not have a lot of muscles just yet. You can also avoid muscle related injuries by using high cushioned running shoes. If those with no running experience choose running shoes with thinner heels, the burden on your feet will increase and will prevent them from running for longer periods of time. Running shoes with thicker heels have higher cushioning and are perfect for beginners! Keep in mind the heel thickness when choosing your running shoes. 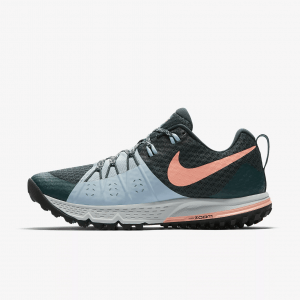 You may think that lightweight running shoes are always good, but such running shoes have a thin sole without a thick cushion, which means they are not suited for beginners. Lightweight shoes are designed for race runners, so beginners might get much muscle fatigue and acquire wrong running form with lightweight shoes. 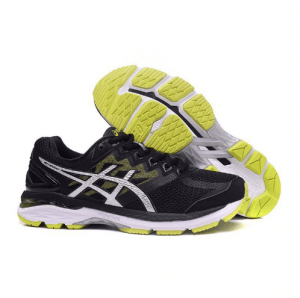 If you are a beginner, we recommend running shoes that weigh from 250 to 280g. Intermediate and advanced runners should choose shoes lighter than 250g. 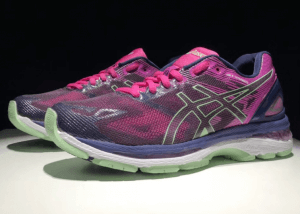 Choose the weight of the shoes that match your level for a pleasant running experience. The shoe fit will depend on its “upper” and “collar”. Shoes with a soft upper (especially the inner surface where it touches the foot) will fit perfectly onto your foot and will help you feel like your shoes are part of your feet. Uppers made of mesh are also a good choice because they allow your feet to breathe. To be able to wear your shoes easily, it is important to make sure that the heel part is stable. If the heel counterpart is sturdy, and if it fits perfectly on your ankle, you will be able to run smoothly. Unfortunately, you can only check how a shoe fits at the store, so if you really want to make sure, then visit that shoemaker’s local branch. Unlike walking, running will have more impact on your foot during landing. Especially the heel area, which receives a lot of impact upon landing. If you want to choose the most durable product, you should choose not only the one with higher cushion but also choose those that have extra features on the heels and toes like using gels, to make them more durable. We recommend buying durable shoes for your training. Now we will show you the highly recommended products in rank order. Let us start with the men’s running shoes first. After that, we will move on to women’s shoes. Choose a running shoe that fits your feet, and enjoy a pleasant running experience! Sprains are something we would like to avoid during a run. If you’ve ever experienced it, you’ll understand how important it is to prevent your foot from sprains. This shoe makes it possible for you to run naturally and reduce the possibility of sprains. It has a special structure that prevents overpronation, which is caused by landing feet on the outside of the heel and rolling it inward excessively. This is best suited for beginner runners looking for an everyday trainer that aids against injury. ISOFIT Adapts to Your Feet’s Movements and Shape! ISOFIT is a dynamic fit system that can adapt to the shape and motion of your foot. 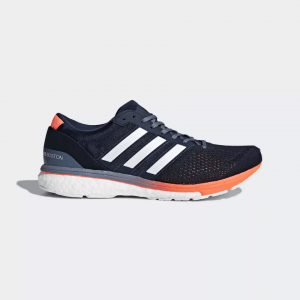 It provides continuous cushioning throughout your run with its construction of top sole and landing zone, even better any of its previous versions. You can also expect outstanding durability with its XT-900 carbon rubber, so you can count on it for long-term use. This product is more recommended to those with experience already, as it may be a little tiring for newbies to train with, as it has a bit of a weight. Not really that big of a deal for experienced runners out there, but might be a bit harder for beginners. This product is flexible enough to allow your foot to move freely and make you feel more comfortable long-distance run. 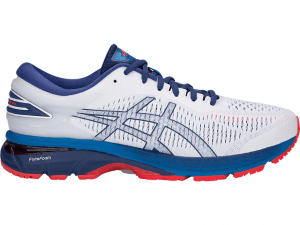 The shoe is also lightweight for a more enjoyable running experience. Its upper is knitted and very breathable, keep your foot cool and dry during runs. Some reviews mentioned that the sizes may be a full size smaller than their actual size, so make sure to try them on at stores before purchasing. This is the lightest shoe on this list. 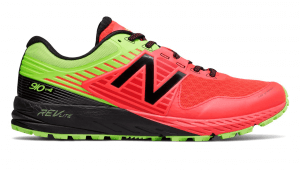 This shoe weighs about 150g-180g depending on the size, which makes it the best shoes for runners whose priority is speed, rather than the comfortability. That’s being said, this shoe uses FlyteFoam®, which is lighter than normal EVA and provides the good amount of cushioning. Its spiked typed soles can firmly grasp the ground, making it perfect to add speed to your running. If you are already used to running a marathon and want to improve your time even faster, try this shoe! 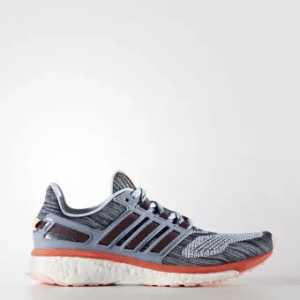 If you are a beginner runner and still wondering which shoes to buy after checking all the shoes on this article, we strongly recommend these shoes for you. 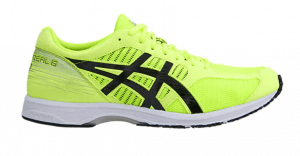 These are one of the most popular shoes from ASICS in the world. 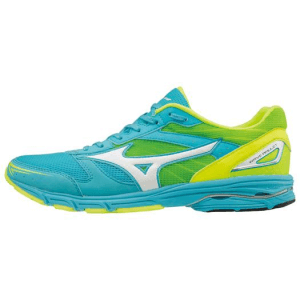 It realizes light weight, durability and cushioning at a very high level. Its cushioning is not as good as GEL-KAYANO, but it is enough for beginners. It uses harder heel cups compared to shoes of other manufacturers, so it supports your heel with a right fit. It can be recommended for a wide range of running enthusiasts who pursuit more comfortable running. 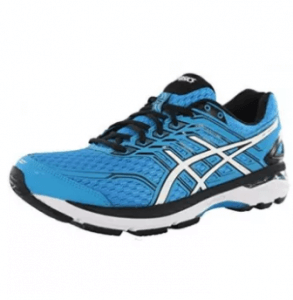 This product is very popular for its sturdy cushioning and the support it gives to your feet during runs. 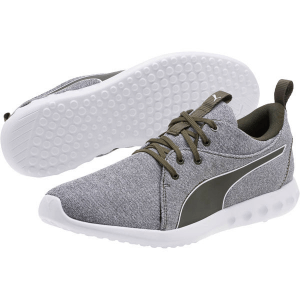 It has Thermoplastic Polyurethane foam in the midsole, which delivers responsive cushioning and gives a good amount of energy return from the ground. According to consumers, the outsole is durable enough to let you enjoy running with this shoe for a long time. This shoe is recommended for those who are trying to finish a marathon since its sole makes it easier to run forward. Seamless SmoothFuse technology prevents irritation, and snugs onto your feet for better comfort and is even breathable since it uses mesh material. It absorbs impact pretty well too with its dual density midsole. The outsole is made with CRTek carbon rubber, for traction and durability, as it is known to be highly resistant to abrasion. 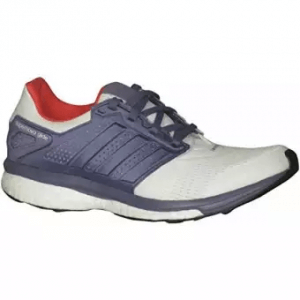 Although this shoe is not recommended for intense running since the heel area of the midsole does not support your heel well, it is the best choice for those looking for running shoes for a light jog or a workout on a gym. Keep Your Feet Well Ventilated with This Cutie! All reviews mentioned its breathable upper and described how it was very comfortable to wear. The Nike zoom air unit in the forefoot area is a great feature, to make the fit more snug and tight. It is not suited for a serious race because its heel counter does not hold heel tightly, like the product #3. However, it is recommended for those who want to enjoy your light jog in the morning or wear it casually, as it looks very stylish too! If you are looking for a shoe with a reliable cushioning, you should add this shoe to your next shopping list. 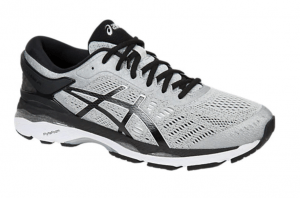 It has the highest cushioning ability of all the shoe from ASICS, so it can be recommended for beginners who don’t have sufficient muscles for running and who are not used to running on paved roads. It has a groove on the center of the outsole, which guides your weight shift for running beginners. This shoe is also good for walking since it reduces the pressure on your knee. This product uses a TORSION® SYSTEM, which is a mid-foot support mechanism that encourages natural foot movement. The tough continental rubber grip is the factor that makes these shoes stand out, as it provides non-slip traction on any surface, even on wet surfaces. It also fits like socks, making it one of the most comfortable shoes available in the market. When is the Right Time to Buy New Ones? If you’ve been using your shoes for the longest time, then it is a bit hard to let it go, right? Below are the pointers on how to know when to say goodbye. Usually, your training shoes should be at around 800km to 1000km of use. Try keeping in mind the distance you run each time, as it will be easier for you to determine whether or not you should be replacing them. 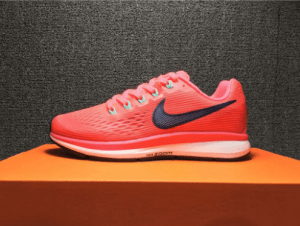 Running shoe soles are divided into three parts, the outermost part is called outsole, followed by midsole, and then insole is the innermost part. We can check the condition of these to decide on whether we need a new one or not. When the outsole is worn down, and the midsoles are showing, then it’s a sign that you need a new pair. It is the easiest way to check, as you can just look at it and tell the difference. This is hard to tell with just one look, but with frequent use, the midsole’s cushion will eventually deteriorate. If the feel is different while wearing the shoes, then it also is a sign you need a new pair. Try to check how it feels on your feet from time to time. Running shoes have a lot of brands, and each of them has their own characteristics. If you want to purchase a new pair of shoes, it will be best to check their characteristics first. Nike has a lot of fashionable designs, with different color variations. They are also known to be functional, always striving for new technology to be infused into their shoe designs, and offers a wide range of running shoes from running shoes made for big competitions that help with optimum speed, to training shoes that lessen the burden on your feet to a minimum. Unlike Japanese brands, Nike uses the Americans as the basis of their designs making them a little narrow for Asian feet. Try to be more careful with their width when purchasing. Adidas has a lot of fashionable designs too that uses a lot of bright colors. Most of their products are lightweight and with thin soles, breathable and very comfortable to wear. People also love wearing Adidas shoes for fashion, making it a very popular brand. They avoid using hard materials so runners can run with comfort. Recommended for beginners, and perfect for injury prevention too. Especially the “Mobium”, the running shoes they’ve invented, it transforms depending on your feet, it has a feature that can fully support your feet while running, and this feature will help your feet achieve that perfect landing, and the kick off after that will be smoother than with other shoes. Even though this brand originated from America, they still are developing shoes that are good for the Asians. They paid attention both to high cushions and the weight, you could even choose the foot circumference size, making it easier for Asians to choose the shoes with the perfect fit, even if it’s a US brand. This sports supplies brand Asics with their home base in Kobe City, Japan, is more focused on developing running shoes for the Japanese athletes. They base their designs on Japanese feet so a lot of Japanese and Asian athletes look up to this brand, and not just top athletes, even those who run for fun love Asics too! It has a high cushioning, the insoles use materials with high resilience, and other ingenious ideas are infused with their designs. Unlike other international brands, they base their designs on Japanese feet, making them more fit to Asian feet as well. Mizuno is a company with its head office in Osaka, Japan. They manufacture a lot of sports equipment, and their running shoe line is quite well-known. Their famous cushion system puts several cushions on top of another, absorbing the impact from the ground, supporting the stability of each run. This also prevents cushion deterioration caused by repeated use. Running is a sport with minimum equipment needed, so your running shoes will be your best partner. Every person has their own running goal. We hope you find the perfect pair for you, and that this article can help you in finding you that pair!